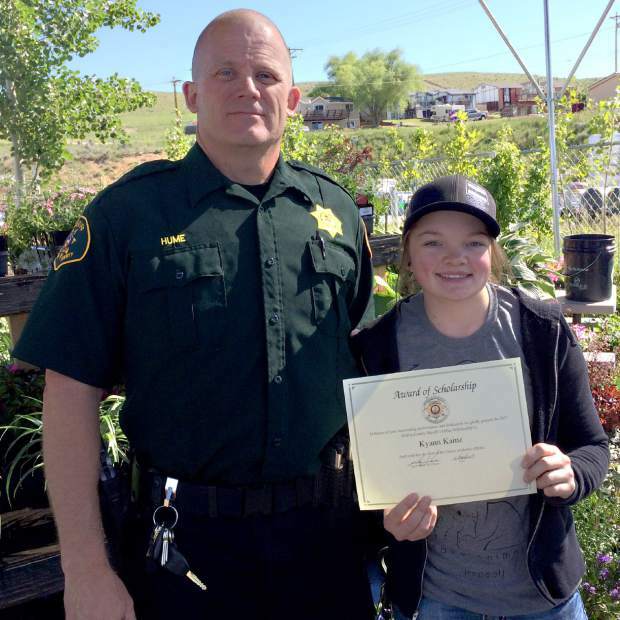 Sheriff KC Hume presents one of two 2017 Moffat County Sheriffâs Office scholarships to Kyann Kainz. Sheriff KC Hume presented the Moffat County Sheriff’s Office scholarships to high school graduates Kyann Kainz and Josey King. The scholarships have been awarded to Moffat County High School graduates for over 30 years. The Sheriff’s Annual Golf Tournament generates money for the scholarship.